Within 5 to 6 years, WhatsApp has become the most popular app on the planet. The app is so popular that 1 out of 3 people on the earth use it on a daily basis. Before WhatsApp was launched, 60 to 70% revenue of telecom firms came from voice calling and SMS services. The messaging app changed the picture of the telecom industry completely. Peopled ditched SMS services of their telecom service provider and started using WhatsApp for private or business communication. 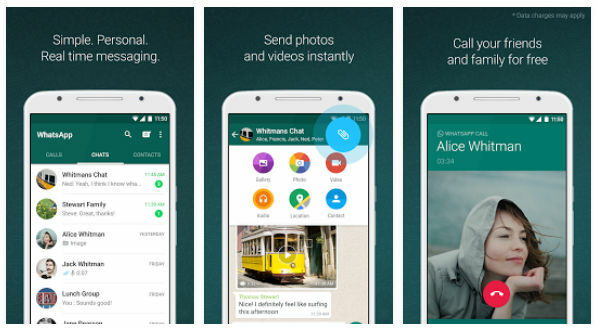 To make the matter worse for the telecom operators, WhatsApp introduced free video calling feature. The app uses a special algorithm to provide a nice video calling experience to the users. The popularity of video calling and chatting has increased three folds ever since WhatsApp was updated with video calling feature. Now, people make more video calls than voice calls. 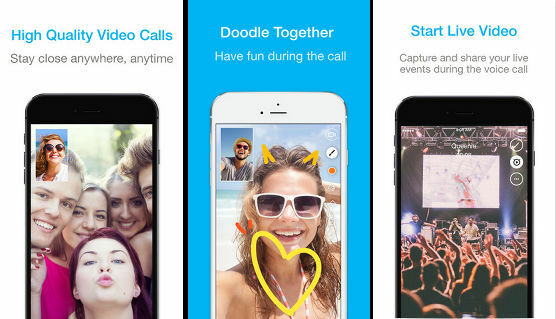 The Google Play Store and Apple App Store are now flooded with video calling applications. Although there are plenty of apps that enable you to make free video calls, not all applications are trustworthy. Below, we’ve shared the list of most secure and powerful Android and IOS apps for making free calls. WhatsApp still leads the race of video calling apps. The reason why you should use is apparent. WhatsApp has over a billion active users. As it is easy to use and free, most internet users use WhatsApp for texting or video calling. Making a WhatsApp call is easy. To place a call, tap the calls tab. You’ll now see a green circular icon floating to the right of the screen. Tap this icon. WhatsApp will now display a list of contacts and an option to make voice or video calls denoted by a phone and camcorder icon. Tap the camcorder icon beside the name of the person you want to call. That’s it! Offline persons will see a missed call notification when they’re online. Very few people have experienced call drops or quality issues with WhatsApp. Unlike WhatsApp, Skype allows users to register an account with their email address or phone number. While registering an account, the app sends a 6 digit passcode to your phone or inbox. The users must verify the passcode to use this application. Skype Lite runs in the background and uses the Android push notification system to make you aware of incoming calls. When you run it, Skype Lite scans your contact list. Then, it displays the phone numbers and name of the users who are using this app. 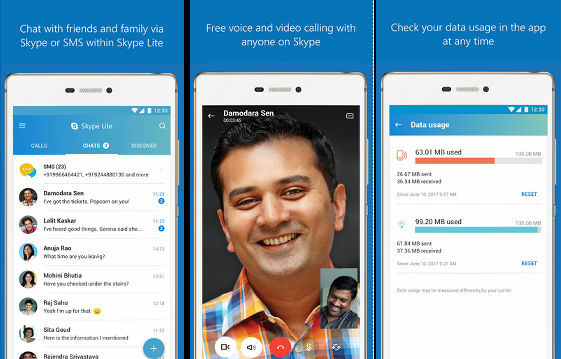 Skype Lite users can make free international calls to US and Canada residents. Apart from video or voice local and international calls, you can use Skype Lite as an instant messenger application. To see the amount of data Sype Lite has used, tap its menu. Skype Lite is trustworthy and secure. It is owned by Microsoft Corporation, one of the largest tech companies in the world. Microsoft holds 100s of security patents. 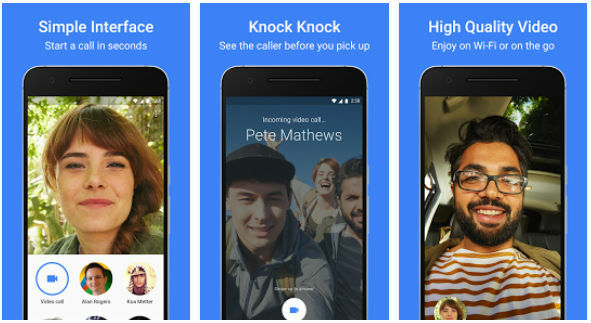 With 100+ million users, Google Duo is yet another popular video calling app. Before making calls with GD, users must provide this app the permission to access the contact list, access camera and record audio with the phone’s microphone. Then, they must verify their phone numbers. Google Duo works in two modes, video and audio. 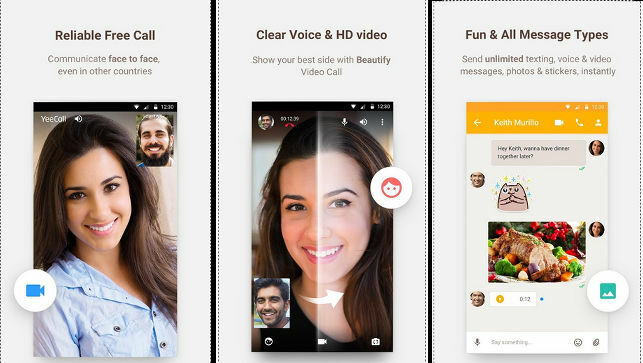 In video mode, you can make video calls. The other mode enables you to make voice calls. The app’s interface is divided into three sections i.e top bar, frame, status bar. You can switch between the two modes by tapping on the toggle option displayed on the top bar. The frame is nothing but the output of the front camera unit. The status bar displays an option to select contacts. As it is tightly integrated with other Google services, Google Duo is a must have app for Google users. If you’re searching for a lightweight video calling app for your mobile device, download IMO. According to its developer, IMO is an instant messaging app, but most people use IMO for video calling. IMO has an ordinary interface that doesn’t boast flashy animations or effects. Hence, it works like a charm on low-end handsets and mobile devices connected to slow 2G networks. Voice and video calls made through the IMO app over a fast 3G or 4G-LTE connection are of high-definition quality. If you’ve enabled GPRS on your phone, you can still make a video call but the video quality won’t be great. Apart from calling, you can use IMO for texting, sharing photos, videos, stickers etc. IMO employs a strong encryption algorithm. It enables you to make an unlimited one-to-one or group video calls. It also provides 100s of free stickers. Like other video calling apps, IMO lets you disable notifications and sounds. It includes an option to delete calling and chat history. 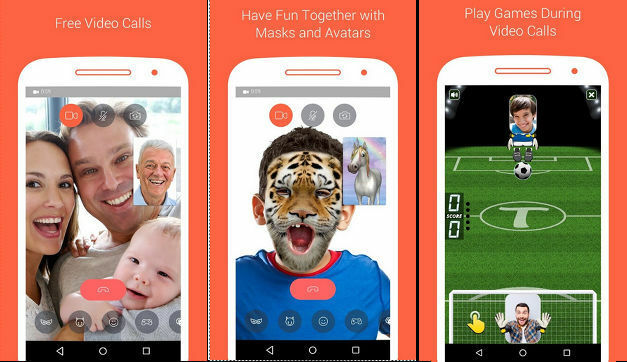 Tango takes your video calling experience to the next level by providing real-time filters, masks, and special effects. It includes in-call games. Tango doesn’t have country restrictions. Hence, you can make free calls to a person residing in another country. You can make as many local calls as you can with this free app. If your phone lacks a high-quality front camera, you can switch to your phone’s back camera with this application. Tango lets you see your friends activities. It allows you to find and follow other Tango users. YeeCall ships with a beautify video feature that removes blemishes from the face of the skin so as to make you look younger during a video call. It enables users to record and send audio and video messages. The app offers 100+ free stickers. It lets users send text messages to friends. It includes a special feature called ChatFun that lets you participate in group chat between strangers. Calls and chat messages in YC are encrypted. YeeCall is a free application. The only thing you’ve to worry about while using this application is mobile or WiFi data. As the name suggests, Just Talk is a communication app. It enables users to make high-quality voice and video calls for free. The app works when the user has enabled EDGE, 3G or 4G data connection on their mobile devices. It doesn’t provide a great experience on slow 2G networks. The app has a simple UI. Like Tango, Just Talk allows you to play games with the callee. JT lets you create and share doodles with friends. You can also exchange text messages with the person in your contact list with it. JusTalk is powered by a data compression algorithm that results in 40 to 60% data saving during an HD video call. It lets you make group calls. Conclusion: Video Calling is a complex technology. 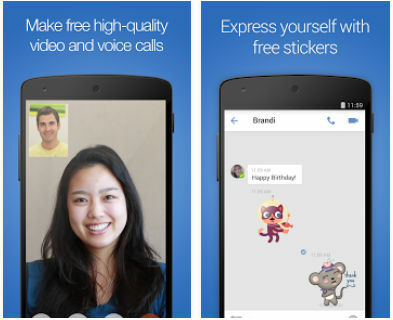 A poorly designed video calling app will annoy users. To avoid frustration and call drops, use WhatsApp, Skype Lite, IMO Messenger, Tango, YeeCall or JusTalk. Millions of people use these apps on daily basis. Communication between the caller and callee takes place over a secure encrypted channel.